Nekrasovite: Mineral information, data and localities. 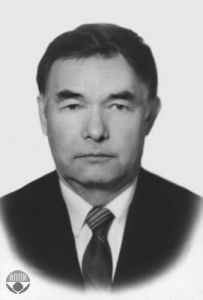 Named in honor of Ivan Yakovlevich Nekrasov (Ивана Яковлевича Некрасова) (4 October 1929, Toshkovka, Voroshilovgrad Region, USSR (now Ukraine) – 15 September 2000, Chernogolovka, Moscow, Russia), mineralogist and geochemist, Institute of Experimental Mineralogy, Moscow, Russia. 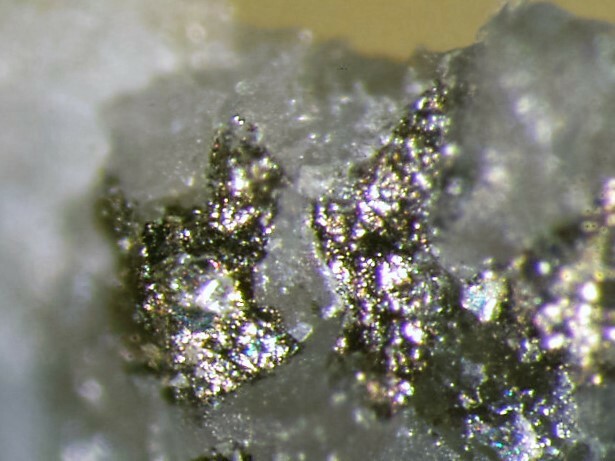 This page provides mineralogical data about Nekrasovite. A. E. Fersman Mineralogical Museum, Acad. Sci, Moscow, USSR. Kovalenker, V.A., Evstigneeva, T.L., Malov, V.S., Trubkin, N.V., Gorshkov, A.I., Geinke, V.R. (1984) Nekrasovite Cu26V2Sn6S32 - a new mineral of the colusite group. 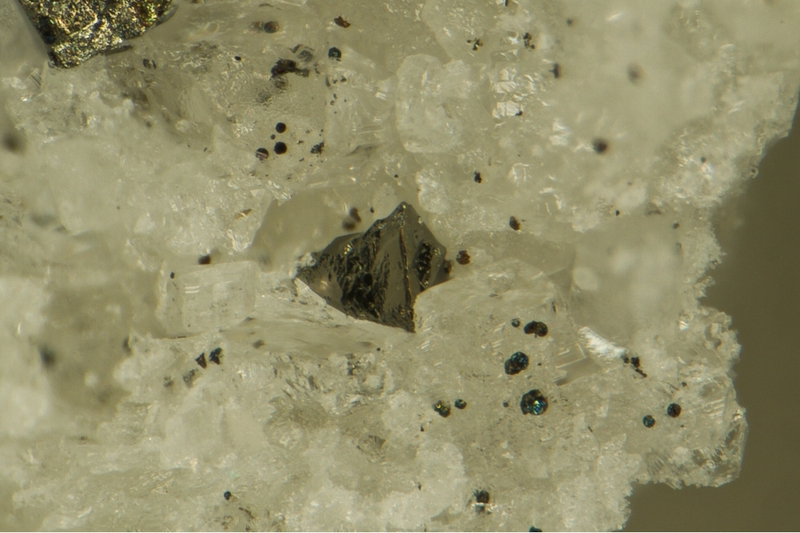 Mineralogiceskij Zhurnal: 6: 88-97. Dunn, P.J., Gobel, V., Grice, J.D., Puziewicz, J., Shigley, J.E., Vanko, D.A., Zilczer, J. (1985) New mineral names. American Mineralogist: 70: 436-441. PUTZ, Hubert; PAAR, Werner H and TOPA, Dan. A contributionto the knowledge of the mineralization at mina Capillitas, Catamarca. Rev. Asoc. Geol. Argent. [online]. 2009, vol.64, n.3, pp. 514-524. Matsubara, S. & Miyawaki, R. (2006) Catalogue of Japanese Minerals (National Science Museum); CHIMIZU, M. (1993). On nekrasovite, chatkalite, kuramite-stannite, colusite and stannoidite from the Suttsu mine, Hokkaido. A Study on Ore Textures by Optical Microscopy and EPMA. Kovalenker, V. A., Safonov, Y. G., Naumov, V. B., & Rusinov, V. L. (1997). The Epithermal Gold-Telluride Kochbulak Deposit. Geology of Ore Deposits C/C of Geologiia Rudnykh Mestorozhdenii, 39, 107-128. Anthony, J.W., et al (1995), Mineralogy of Arizona, 3rd.ed. : 312; Graeme, R. (1993), Bisbee revisited, Min.Rec. : 24: 421-436.